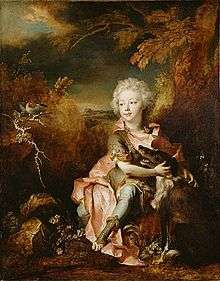 For the consorts of Brittany, see List of consorts of Brittany. This a list of rulers of the Duchy of Brittany. 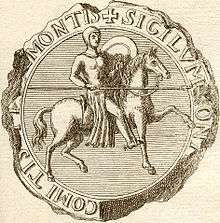 In different epochs the sovereigns of Brittany were kings, princes, and dukes. The Breton ruler was sometimes elected, sometimes attained the position by conquest or intrigue, or by hereditary right. Hereditary dukes were sometimes a female ruler, carrying the title duchesse of Brittany. 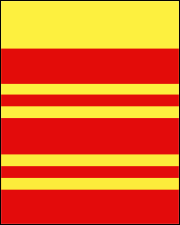 Its principal cities and regions were ruled by counts who often found themselves in conflict with the Breton ruler, or who became the Breton ruler. The Duchy of Brittany had its origins in the Battle of Trans-la-Forêt of 939, which established the river Couesnon as the boundary between Brittany and Normandy. 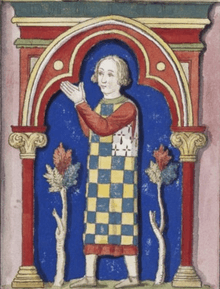 In 942, Alan II paid homage to Louis IV of France, however the duchy did not gain royal attention until 1123, when Louis VI of France confirmed the bishop of Nantes. 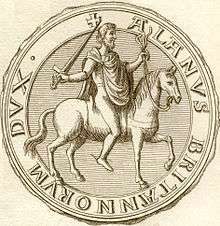 No other Duke of Brittany repeated Alan II's homage until Arthur I recognised Philip II of France as his liege in 1202. 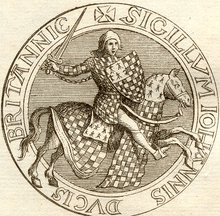 The area was often called a Duchy, and its rulers were considered independent Sovereign Dukes. 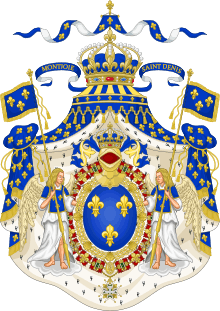 However one historical view is that before the middle of the 12th century the Dukes of Brittany were often also called Counts by the Kings of France, as the kingdom of France then saw Brittany as no more than a county. 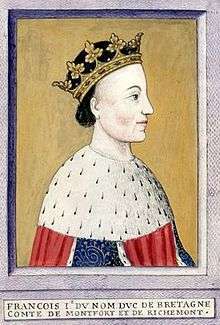 In 1297, the peninsula was elevated into a Duchy in the peerage of France. 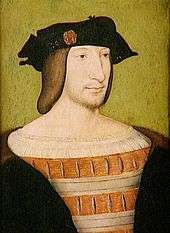 This view is not consistent with the manner in which Charles VIII of France and then Louis XII of France approached the Duchy and the rights of Anne of Brittany who married each in succession. 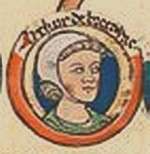 Eleanor, Fair Maid of Brittany, eldest daughter of Geoffrey and Constance and full elder sister of Arthur, also unmarried, was prevented from succession for her imprisonment in England which lasted till her death in 1241, thus was only a titular duchess until 1214 when King John of England ceased to support her claim. ↑ John Le Patourel, Feudal Empires: Norman and Plantagenet; ed. Michael Jones, (The Hambledon Press, 1984), p. 241. ↑ Michael Jones, The Creation of Brittany, (The Hambledon Press, 1988), 4. ↑ Michael Jones, The Creation of Brittany, 4. ↑ Michael Jones, The Creation of Brittany, 287. ↑ Pierre Riche, The Carolingians:A family who forged Europe, Transl. Michael Idomir Allen, (University of Pennsylvania Press, 1993), 195. 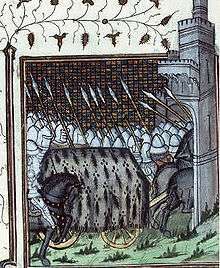 ↑ Though Ranulf used, not consistently, the style Duke of Brittany, he never had the control of the duchy, and is not known to have played an important role there.